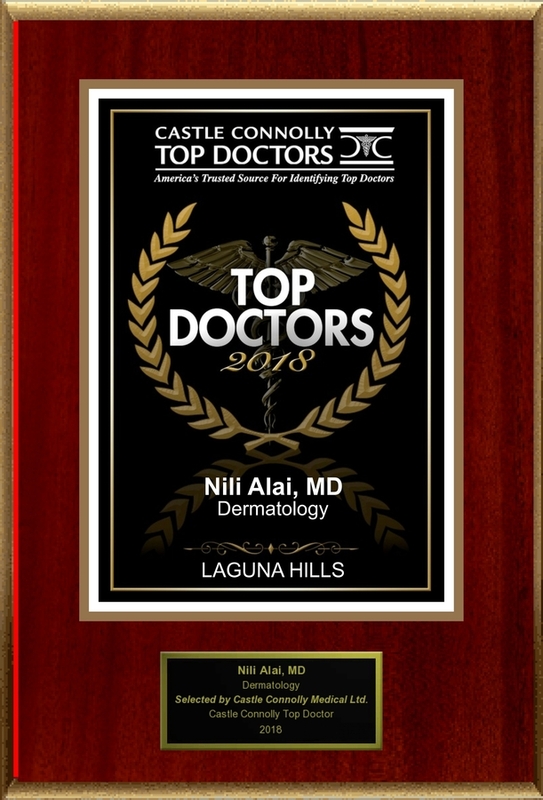 LAGUNA HILLS, CA, June 14, 2018 /24-7PressRelease/ — Castle Connolly Medical Ltd., America’s trusted source for identifying Top Doctors, has selected LAGUNA HILLS’s Dermatology specialist Dr. Nili N. Alai, M.D., FAAD for inclusion in its highly selective list of Castle Connolly Top Doctors this year. Dr. A. N. Alai, M.D., CPC-D is a U.S. board certified dermatologist, and former Professor at the University of California, Irvine, Department of Dermatology and Department of Family Medicine. She is a fellow of the American Academy of Dermatology. Recently, Dr. Alain was awarded America’s Top Dermatologist Award for 2011 and America’s Top Physicians award for 2010. Additionally, she received the top honor of America’s Top Dermatologists Award for 2007-2008 and 2004- 2005 by the National Research Council. She was re-appointed to serve a two year term as an Expert Medical Dr.
For more information on this Castle Connolly Top Doctor, please visit Dr. Nili N. Alai, M.D., FAAD ‘s profile on www.castleconnolly.com.